Together, these constitute Hand’s groundbreaking Improbability Principle. And together, they explain why we should not be so surprised to bump into a friend in a foreign country, or to come across the same unfamiliar word four times in one day. Hand wrestles with seemingly less explicable questions as well: what the Bible and Shakespeare have in common, why financial crashes are par for the course, and why lightning does strike the same place (and the same person) twice. 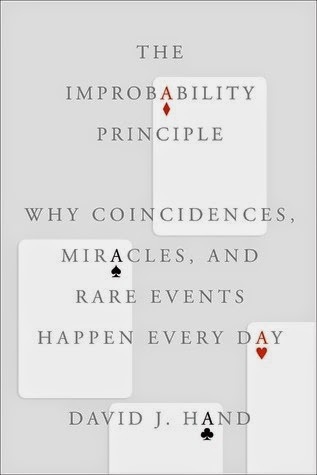 Along the way, he teaches us how to use the Improbability Principle in our own lives—including how to cash in at a casino and how to recognize when a medicine is truly effective. David J. Hand is Senior Research Investigator and Emeritus Professor of Mathematics at Imperial College, London, and Chief Scientific Advisor to Winton Capital Management. He is a Fellow of the British Academy, and a recipient of the Guy Medal of the Royal Statistical Society. He has served (twice) as President of the Royal Statistical Society, and is on the Board of the UK Statistics Authority. One confession before I start the review – I used to hate statistics as a subject in school and college with a madness that only I was aware of. Simply put it was beyond me. That’s it. When I saw this book in the list by Random house I Google-d the book as always and was amazed at what was there in the book. The probability factor has always fascinated me with it’s could bes and would bes here the author has taken it to an altogether new depths completely. The beauty of such books is that though the author is a renowned in that field the book is written for a novice. Someone who has interest in that topic and wants to know more about the topic in detail would love reading this book. The author has done an amazing work in bringing together some of the most profound theories in the simplest manner in this book making it a thoroughly enjoyable read. Strongly recommended for people who enjoy reading topic based books coming from such renowned maestros ! 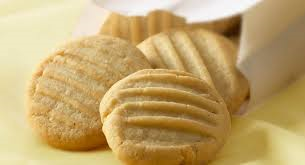 This book is like butter cookies- crunchy and delicious!